According to an article by caranddriver.com, auto maker Honda and electronics company Hitachi developed a compact and tamper-proof portable breathalyzer. The breathalyzer is able to detect non-human gases by way of “saturated water vapor sensor.” Hitachi was able to shrink this sensor so that it could fit in the prototype breathalyzer, which is roughly the size of an average car’s smart key. The sensor itself incorporates a pair of electrodes that sandwich an oxide insulator. When humid human breath passes over the insulator, the moisture in it is absorbed. This allows a “current” to pass between the electrodes. The technology combines the breathalyzer with a car’s “smart key.” In other words, the device could be programmed to disallow the user to start the car. This built-in ignition interlock is much slicker and far less embarrassing than the retrofitted versions required by municipalities here in the U.S. for drivers previously convicted of a DUI or on probation for a similar offense. Furthermore, the breathalyzer can take a reading of the blower’s blood-alcohol content (BAC) within three seconds. Problematically, the device cannot tell who is blowing for a reading. An intoxicated driver could still, theoretically, pass the device to a sober bystander to fool the system. While neat and certainly welcome, the device isn’t as high-tech as, say, the anti-drunk-driving solutions NHTSA is chasing with breathalyzers built into cars—which are capable of determining between drunk car occupants and drunk drivers. Still, the device is a fairly novel step in the right direction. It’s too intrusive upon drivers, doesn’t violate constitutional rights, it appears affordable and it protects public safety. According to Q13 Fox News, a bill that would require harsher penalties for people convicted of felony-level offenses for driving under the influence of drugs or alcohol has unanimously passed the House. House Bill 2280, approved Monday, would make a driver’s fourth DUI conviction within 10 years a Class B felony, rather than a Class C felony. A Class C felony has a maximum of five years in prison, a $10,000 fine or both. A Class B felony has a maximum of 10 years in prison, $20,000 fine or both. 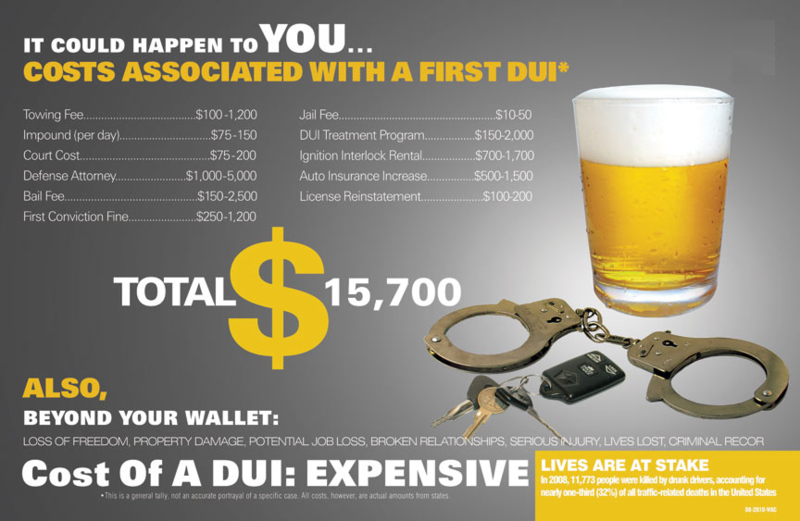 A DUI is a gross misdemeanor in existing law. A DUI for someone convicted of vehicular homicide or vehicular assault while intoxicated would also be a Class B felony under the bill.